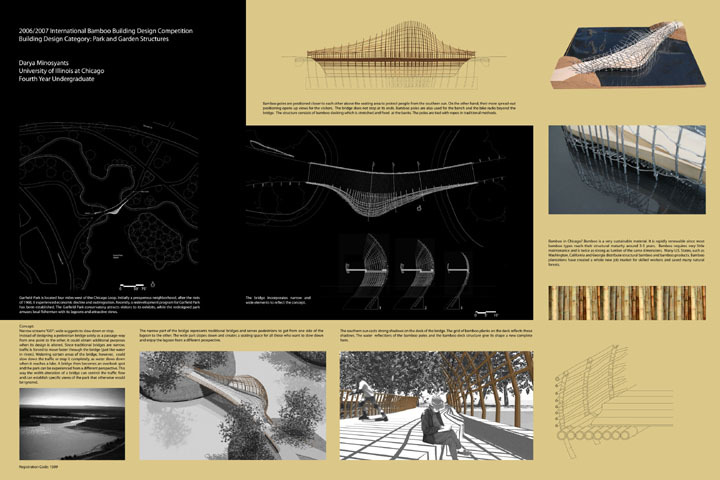 This bridge is designed for the redeveloping neighborhood of Garfield Park in Chicago. This wide bridge provides benches for sitting and invites the pedestrian to slow down and enjoy the lagoon. The bamboo poles are tied together with rope and other traditional methods.